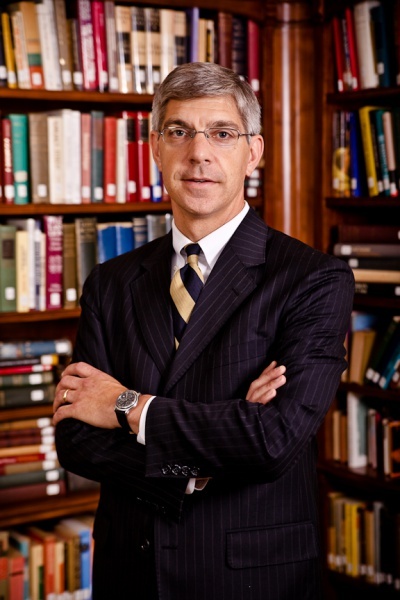 Kris Mauren is co-founder and executive director of Acton Institute, an international educational and public policy organization based in Grand Rapids, Michigan with international offices in Rome, Italy and Buenos Aires, Argentina. The Institute publishes scholarship and film and organizes educational seminars around the world for current and future religious leaders across denominations promoting an understanding of the ethical dimensions of the free market economy. The Institute also works with business leaders, helping them to embrace their work as a worthy calling and to encourage their positive moral defense of a free society characterized by individual liberty and personal moral responsibility. Since its inception in 1990, The Acton Institute has experienced tremendous growth and today employs more than 50 people with an annual budget of $11,500,000. Kris is a Seattle native and the youngest of 8 children. After graduating with an economics and international relations degree from Johns Hopkins University, Kris settled in Grand Rapids to help found Acton Institute. In his role as executive director, Kris has traveled the world, lecturing and consulting in dozens of countries. He is widely recognized as a leader in non-profit management and consults regularly on best practices in governance, management, measurement and evaluation, and fundraising in the not for profit sector. In 2010 he was presented with the Charles G. Koch Distinguished Alumnus Award from the Institute for Humane Studies, and was the 1999 recipient of the Liberty Executive Award for Outstanding Non-Profit Management. Kris serves as a director or as an advisory board member for a number of institutions, including Donors Capital Fund, Foundation for Economic Education (FEE), John Templeton Foundation, Templeton World Charity Foundation, and Templeton Religion Trust. He also serves on the boards of Excel Charter Academy and Grand River Preparatory High School. Kris is active in a number of community organizations including the Economics Club of Grand Rapids, Rotary International, and St. Thomas the Apostle Church. Professional affiliations include membership in: The Philadelphia Society. Kris is married with four children.